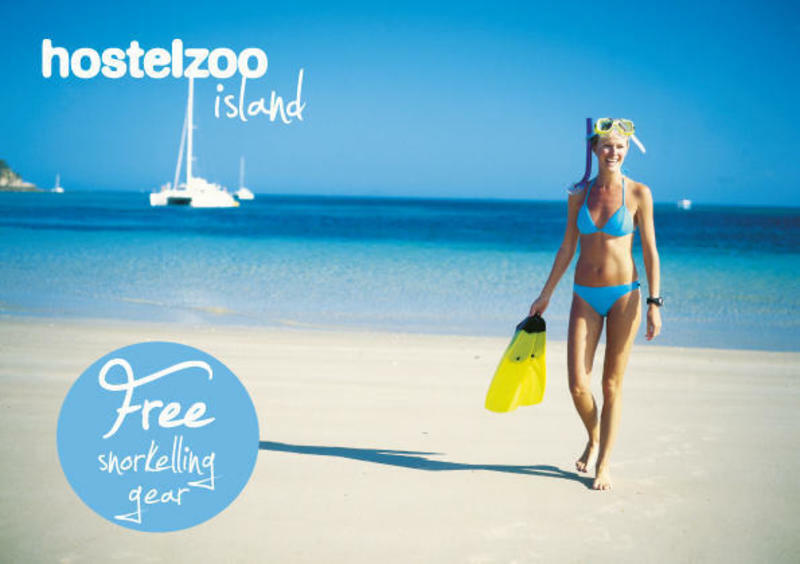 Set within the Great Keppel Island Holiday Village, Hostelzoo Island is a small hostel with a focus on a more traditional style of backpacking. Forget the three story hostels with hundreds of beds and backpackers because on Great Keppel Island, we like to keep things simple. With only two dorm rooms and a maximum guest count of just 12 intrepid adventurers, Hostelzoo Island is an island experience you can't miss! Our communal kitchen and eating areas provides lots of opportunities to chat and our doorstep is less than 100 metres from the gorgeous Great Keppel Island coastline, including white sandy beaches and great snorkelling reefs. We provide can facilitate a variety of awesome island activities including snorkelling tours (snorkel gear provided free), kayak trips and motorised canoe adventures! At Hostelzoo Island we're not really into parties and raves. Instead we make our own entertainment by catching gorgeous island sunsets and lighting up the summer nights with beach bonfires. Hostelzoo Island is accessible from the Rosslyn Bay Harbour at Yeppoon via the Rockhampton (ROK) airport. Youngs buses provide a cheap service between Rocky - Yeppoon - Rosslyn Bay - Emu Park. Freedom Fast Cats currently operate the only ferry service to the island, departing once in the morning at 9:15am Wednesday - Sunday and at 10:30am Mondays & Tuesdays. Due to current public transport schedules, travellers are usually required to spend a night on either side of their Hostelzoo Island adventure in Rockhampton or Emu Park. Greyhound travellers may stay at the terminal during the wee hours of the morning and catch the early bus to the coast if they're looking to save on accomm. Vanpackers can park for free at the harbour. Accommodation is available in Rockhampton at the Rockhampton YHA or at Downtown Backpackers. Alternatively, travellers can connect with their Greyhound pass and stay in Emu Park at Emus Beach Resort. Emus crew can also provide drop off/pick ups to/from the Rosslyn Bay Harbour and via ferry to Great Keppel Island.